They are $12 in person and $12 per shirt plus one charge of $3 shipping and handling if you need it shipped to you. They come in men's sizes from Small to XXL. 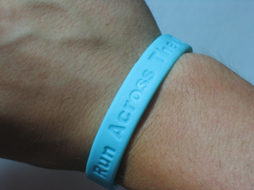 Wristbands are now available! 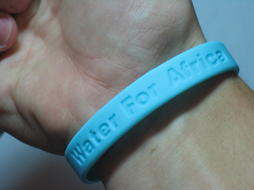 Show your support today for both the runners and Water for Children - Africa by sporting a new one-size-fits-all wristband with Run Across the USA on one side and Water for Africa on the reverse. Get a five-pack today for only $10, plus a single charge of $1 shipping. This option will take you to Paypal.com, and guide you through the proper steps. If you already have a Paypal account, it's quite easy. Otherwise you will have to sign up for an account and put a credit card on file. The PayPal system is extremely safe and secure, and this option is the fastest way to send money. If you wish, you can also purchase a t-shirt in person. 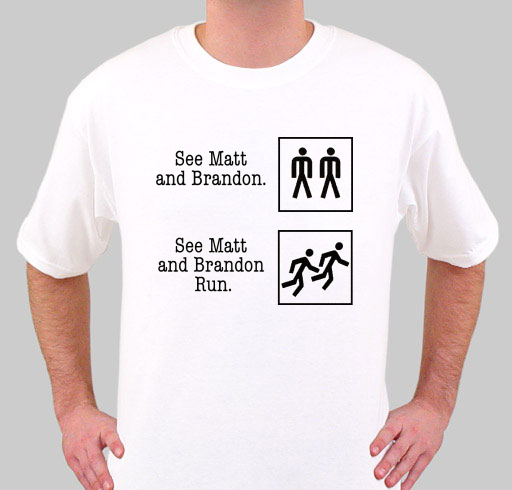 Both Brandon's (Kevin and Sherri Newlin) and Matt's (Steve and Sharon Wyble) parents will be happy to sell you a shirt. 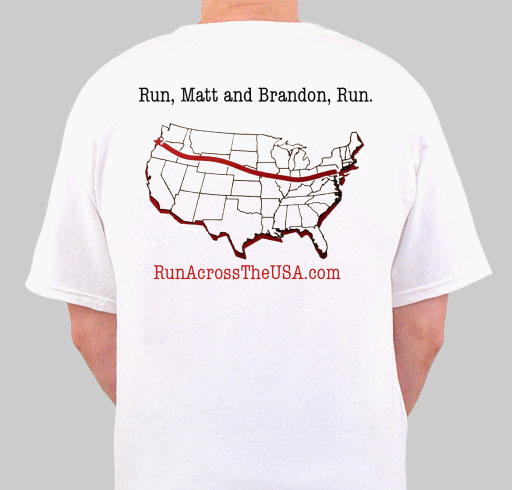 If you happen to see Matt and Brandon on the road, you could also donate to them then. Thank you so much for your help, and we hope you enjoy the shirts!